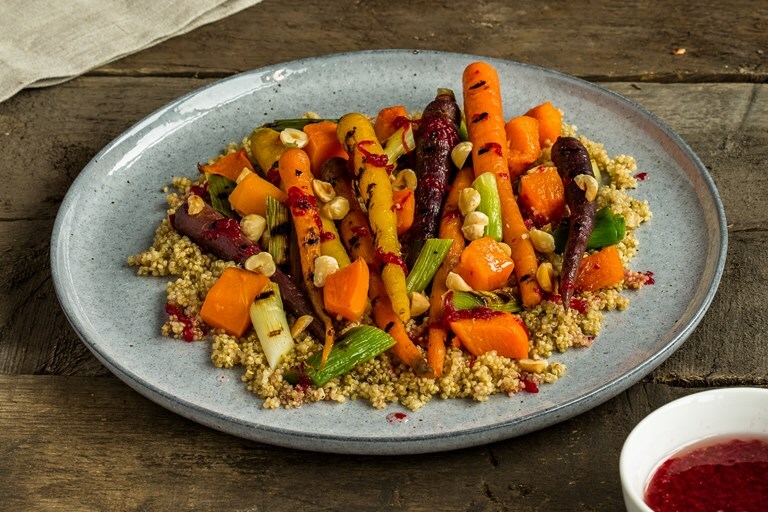 This vibrant autumn vegetable salad recipe by Adam Gray is served with a tangy beetroot dressing, making the most of the season's beautiful colour palette. Quinoa and hazelnuts add crunch and nutty flavour to the dish. Adam recommends serving this with a few pieces of goat's curd for an extra element of richness, but you can serve without for a hearty vegan salad.